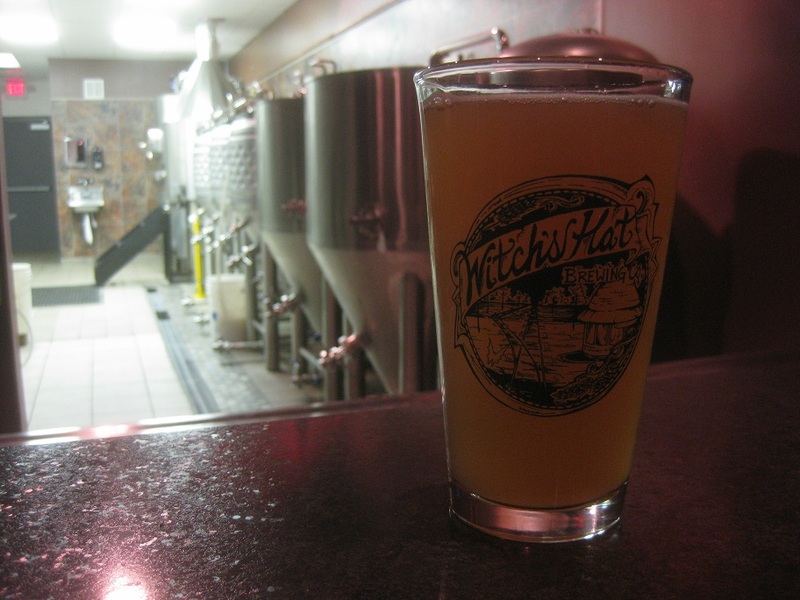 Witch's Hat Brewing in South Lyon is off to a busy start, working to keep up with high demand. A new year of great beer is off to a rollicking start with a January packed full of new releases and fun events, and with the recent “heat wave” we’ve been having, what excuse do you have for not getting up and going out? Resolve to try some new beers, visit a new bar or brewery (or haunt an old favorite), and otherwise help support your local beer scene! The gym will still be there after happy hour ends. » Like malty beers? They’re the focus of Arbor Brewing’s monthly beer tasting from 7-9 p.m. More than two dozen porters and brown ales will be at the brewpub, along with the customary appetizer buffet and opportunities to win cool glassware, apparel, and other branded beer swag. Tickets are $30 at the door, if available; call 734-213-1393. » Witch’s Hat Brewing, 22235 Pontiac Trail, South Lyon, releases a new beer, a Scottish Wee Heavy Ale, when they open at 5 p.m. - but there’s a catch. Only Mug Club members may try it. Release to the uncool kids is Saturday at 2, so be sure to check it out. » Celebrate the recent opening of the all-Michigan, all-the-time MI General Store, 44 E. Cross St., Ypsilanti, with a grand opening event beginning at noon. The celebration also encompasses the acquisition of an on-premise beer and wine retail license at next-door Café Ollie. Enjoy free samples of “Made in Michigan” foods, chill to the tunes spun by DJs until 8 p.m., and even throw down a few pints of Michigan craft beer at 10% off at the cafe. If you love Mitten-made products, you’ll want to pay a visit to one of Depot Town’s newest businesses! » Ashley's in Ann Arbor, 338 S. State St., begins Belgian Beer Week, which runs through Sunday, January 22. The “mini-fest” includes a special Belgian-inspired food menu including Flemish beef stew, mussels, Chimay chicken sandwich, and a “Monk’s burger” and over 30 Belgian brews on draft and in bottles, such as St. Feuillien Biere de l’Amitie, Gouden Carolus Hopsinjoor, St. Louis Geueze, and lots more. (See the full list here.) And Belgian lovers: Be sure to mark February 9-19 on your calendar for the much bigger Belgian Beer Fest taking place at Ashley’s Beer & Grill in Westland, 7525 N. Wayne Rd., with more than 150 Belgian ales! Details are at abbf.ashleys.com. » The long-awaited release of Holy Confusion Barleywine Ale is here! Mug Club members can get their mitts on the signature brew of Witch's Hat Brewing when doors open at 5 p.m. (Non-Mug Clubbers must wait until Thursday to try it, if still available.) Unfortunately, it is a limited release of five gallons, with the rest of the batch being held back so it can age longer. Due to overwhelming demand, Witch’s Hat has temporarily changed its hours so that Ryan and co. can get caught up on brewing. Until further notice: Tuesday through Friday, 5-11 p.m., Saturday 2 p.m. to midnight, and closed Sunday and Monday. In related news, lifetime Mug Club memberships are limited (only around 40 left as of this writing) and once they’re gone, $50 annual memberships will be available. Some sad news out of Jackson: The Local Pub & Brewery, 6020 Ann Arbor Rd., has scaled back its operations for the opposite reason. According to MLive.com, owner and brewer Phil Wilcox has announced he’s closed the restaurant and limited tap room hours to 4-8 p.m. Thursday and Friday and noon to 8 p.m. Saturday. On tap at Blue Tractor’s rotating taps this week: Rusty Tractor Amber Ale, a Cascade and Cluster hopped brewed balanced with pale, wheat, and roasted malts; Demonic Cascadian Dark Ale, a black IPA that won World Beer Championship gold medals in 2010 and 2011; and Mommy’s Li’l Peanut Imperial Oatmeal Peanut Butter Stout, which sounds like wow. At Grizzly Peak, look for the return of Berserker Heavy Duty Ale, an American strong ale; Edwyn’s Warm-up Ale, a dry, strong British-style brew; and Little Giant Lager, a low-alcohol “session” beer.